Panels Are Available With Power Ratings From 90 KW To 1.2 MW With Standard Input Bridge Or The “Active Front End” Solution, In Two Main Versions. The “Ready To Use” Version Is Supplied As A Complete Panel Ready To Be Installed. It Includes The Entire Power Section, From The Automatic Line Circuit Breaker To The Motor Connection Bars, All The Auxiliary Circuits And Controls Needed To Start A Single-motor System, All Of Which Are Supplied As Standard. In The “Basic” Version, The Entire Power Section, From The Automatic Line Circuit Breaker To The Output Bars For Connecting The Motor, Is Supplied With The Panel As Standard. 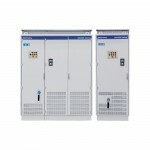 The Appropriate Auxiliary Circuits Can Be Added By The Customer As Required. Light Duty Panels Are Designed To Guarantee The Rated Current Of The Motor And An Overload Of 110% For 60 Seconds Every 300 Seconds. High Duty Panels Are Designed To Guarantee The Rated Current Of The Motor And An Overload Of 150% For 60 Seconds Every 300 Seconds. Inverter Fan Unit Power Supply From Size 160 KW In The High Duty Version And 200 KW In The Light Duty Version With Overload Switch. Krish Engineers Offers A Range Of Accessories To Meet The Various Requirements Of The Machines Where The Panels Are Installed. EXP-SFTy-ADV Safety Card: Designed To Implement The STO (Safety Torque Off) Function To Prevent Unexpected Motor Start-up. The Card Meets The Requirements Of The Following New Directives: Safety Integrity Level SIL 3 According To EN 61508 And EN 61800-5-2. The Safety Card Can Be Used To Implement A Category 0 Emergency Stop Function When The Drive Is Connected To The Power Supply, According To EN 60204-1. When Ordering The Safety Card, Please Specify The Required SIL So That The External Circuitry Can Be Engineered Accordingly (for The Ready To Use Version Only). Encoder Input/repetition Card. Interfaces Are Available For TTL/HTL Digital Incremental Encoders, Sinusoidal Encoders, ENDAT/SSI/HIPERFACE Absolute Encoders. 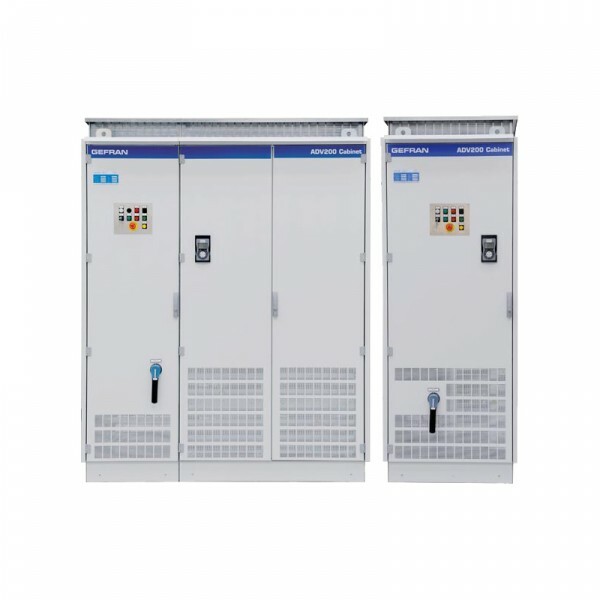 The ADV200 System Is A Range Of Panel-mounted Inverters Designed As A Compact, Ready-for-use Solution Fully Compatible With The Maximum Operating Conditions Of The Drive. During Conformance Testing, We Therefore Paid Particular Attention To Ensuring Absolute Compliance Of The Panels With All Legal Requirements. Savings In Terms Of Installation Space And Assembly And Commissioning Times, The Guarantee Of Functionality And Certified Compliance With Legal Requirements Are The Main Advantages Of The Krish Engineers Panel-mounted Solution. Special Care Was Also Taken In Designing The HW To Meet The Requirements Of The Applicable Standards Relating To The Servicing And Maintenance Of Electrical Panels. These Specify The Need To Perform Inspections At Regular Intervals And, In Particular, To Check The Tightness Of All Power Connection Bolts And Screws. All Power Sections And The Relative Connections On Gefran Panels Can Be Accessed From The Front. There Is Therefore No Need For Access From The Back Or For The Use Of Any Special Tools.